The Duke of Sussex, 34, will touch base in the African nation on November 26 for his visit, which is in line with the Foreign and Commonwealth Office. He will also attend a board meeting for African Parks, a non-profit organistion of which he is President. 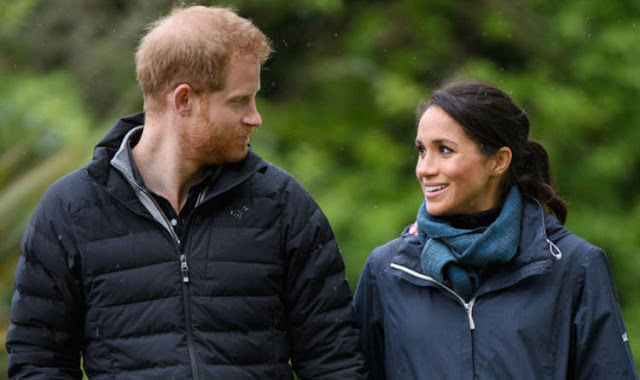 Kensington Palace announced details of the trip today, which comes less than a month after the Duke and Duchess returned to the UK after their overseas tour of Australia, New Zealand, Fiji and Tonga. On arriving in Zambia, Harry will attend a reception to celebrate UK-Zambia relations, where he will meet representatives from British businesses working in Zambia as well as young people and key figures working in the conservation sector. The following day, he will visit Burma Barracks to attend an event commemorating WWI and WWII Zambian veterans, before being shown round a special photographic exhibition about the African soldiers of WWI. The Duke will then attend an event for The Queen’s Commonwealth Trust, followed by a visit Circus Zambia, an organisation that helps young people from vulnerable backgrounds. Harry's final engagement in Zambia will be a visit to BongoHive, the country’s first technology and innovation hub.